It's more a tribute to Parfitt's greatness than an essential Status Quo addition. 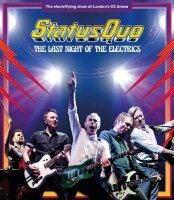 Usually you know what you're getting with a Status Quo live show, the guys will come out, open the show with 'Caroline' and then proceed to blast through countless hits and signature tunes which are impossible not to tap your feet to. Francis Rossi will indulge in some amusing between song banter, he and Rick Parfitt will share lead vocal duties while driving out that twin guitar sound which nobody can match. Like the name suggests, that is the status quo, it doesn't change. This release proves the exception to the rule. Originally recorded to document the end of the band as an electric unit, with the success of their 'Aquostic' albums looking to herald a new touring format, the most noticeable thing here is Parfitt's absence. He had suffered a heart attack in Turkey and had been told not to tour anymore as his health just wasn't up to it. The rest of the band chose to perform the remaining contracted shows with Richie Malone stepping in to cover rhythm guitar duties. Parfitt would tragically pass away not long after the tour was completed, making his absence here even more glaring. The rest of the band do everything right. 'Caroline' kicks things off, Rossi fronts the band with his usual good humour, Malone fills in admirably on guitar and bassist John "Rhino" Edwards covers the majority of Parfitt's vocal parts, with keyboard player Andy Bown chipping in here and there too. The band really pull together as drummer Leon Cave keeps the tempo high. There's no shortage of great songs – 'Paper Plane', 'Whatever You Want', 'Roll Over Lay Down', 'Rain', 'Down Down'... they're all here. What isn't here though is the indefinable thing Parfitt brought. While Malone does nothing wrong, it isn't until Bown comes out from behind the keyboards and adds a third guitar to the mix that it starts to sound like the old Quo. Such was Parfitt's power as a rhythm player, it takes two men to truly emulate his sound. 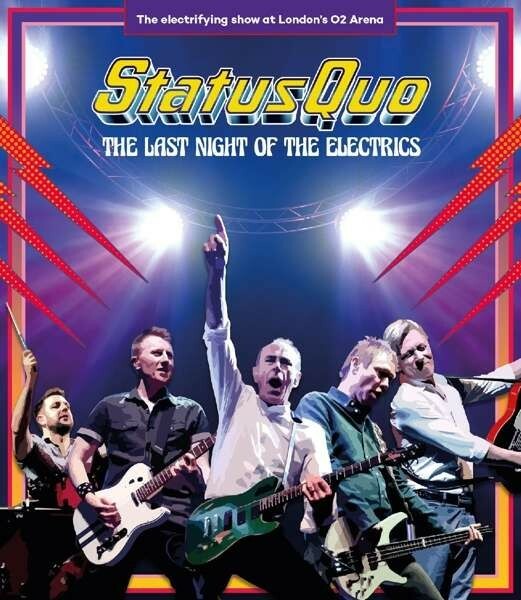 The latest news is Quo are going to plug in and carry on electrically after all. While I'm delighted that they will persevere, with this recording showing they are still more than capable of delivering a great show, inevitably Parfitt's passing has robbed the band of some of the magic. It's more a tribute to Parfitt's greatness than an essential Status Quo addition.